La Grave is a small skiing and mountaineering village on the road between Bourg d’Oisans & Serre Chevalier. 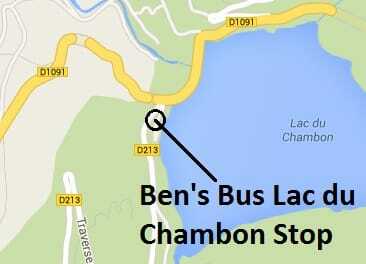 Ben’s Bus only offers a shared airport shuttle from Grenoble Airport to La Grave on Saturdays. On all other days, we can take you as far as the Lac du Chambon, which is situated half way up the road from Bourg d’Oisans to Les Deux Alpes. Here, the road splits to head off to La Grave and you would need to book a private taxi to La Grave, which costs around 30EUR. You’ll need to select “Lac du Chambon in our Online Booking Form to book this. Expand the sections below for more information and a map of our bus stops. Our buses will connect you with Grenoble International Airport throughout the 2018 / 2019 winter ski season. For the Lac du Chambon, we have a service every day there is a scheduled flight into Grenoble Airport, from the 15th December 2018 until the 20th April 2019. Our prices to Lac du Chambon are £49.90pp Return & £29pp Single, but with our group discounts, you could pay as little as £43.70pp Return. 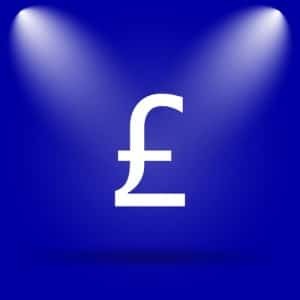 Please see our ‘Children’ page to see our policy and pricing on carrying children. Click this link if you wish to Book Now or receive an Instant Quote for your group and all discounts will be applied automatically. More details about this service can be found by expanding a section below. 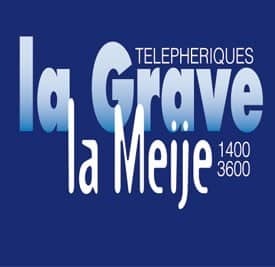 Our Saturday service to La Grave runs from the 22nd December 2018 until the 30th March 2019. Our prices to La Grave are £77.50pp Return & £41.90pp Single. With our group discounts, you could pay just £67.80pp Return. Visit our Grenoble Airport to La Grave page for more information. 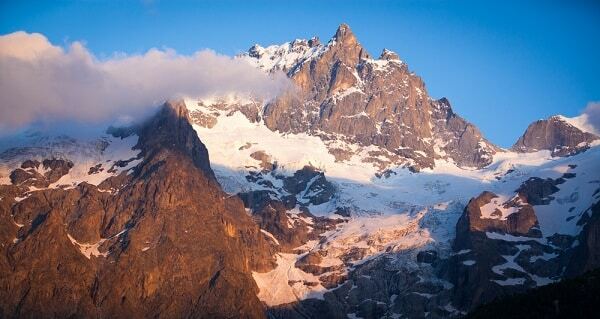 La Grave is an international off-piste mecca situated at the foot of the La Meije mountain. It is a unique village offering a unique skiing experience. Mostly made of stone, due to the scarceness of wood and the history of fires in the town, there is a good selection of accommodation although no luxury hotels. It is a resort for true mountain lovers – and not one for beginners! It is strongly advised to hire a guide to explore this area as the pistes are not groomed and there is no formal avalanche control. Grenoble Airport is the closest airport to La Grave, at just under 2 hours away. This is why we only operate our Ski Transfer shuttle service to Lac du Chambon from Grenoble Airport. If you have booked a flight to another airport, such as Chambery, Lyon, Turin or Geneva, it may be worth looking at changing your flight, if possible, so you arrive into Grenoble. Otherwise you may have to pay for expensive private transfers or use various public transport options (trains, buses) which can take a long time. It may be cheaper to change your flight so you can use our service. If you really cannot fly into Grenoble, we would recommend checking out the Tourist Office for La Grave for alternative travel options. To get from the Lac du Chambon to La Grave you have 2 options. We would recommend a booking a taxi as the cost is very reasonable and it gives you the flexibility should you arrive late, due to traffic or weather conditions. Expand the "Useful Information......" section below to see a map of our bus stop. A private taxi from the Lac du Chambon to La Grave costs around 30€ for up to 4 of you and takes around 20 minutes. There are a few taxi companies in the area and we would strongly recommend you book these as far in advance as possible, as they can get very busy. Jean from "Taxi de la Meije" is the taxi man from La Grave so we would recommend trying him first as he knows the area and resort better than anyone. Jean Paul and his wife have a website www.taxidelameije.com and can also be contacted by email fege@9online.fr and by phone on 0033 (0)6 79534567 or 0033 (0)6 72676933. They both speak good English and have a 6 & 8 seater which is capable of carrying skis and boards. Our ski transfer buses will arrive at the Lac du Chambon about 1hour 40 minutes after they depart Grenoble Airport. The taxi company should supply you with details on how you co-ordinate meeting in Rochetaillee. If you wish to travel by bus instead of a taxi, we would suggest booking our ski transfer service to Bourg d'Oisans and not Lac du Chambon. Bourg d'Oisans is the main transport hub for the area and a village which amenities to shelter you should the weather be bad. Our stop at the Lac du Chambon is very isolated with no amenties apart from a cafe opposite, overlooking the lake. 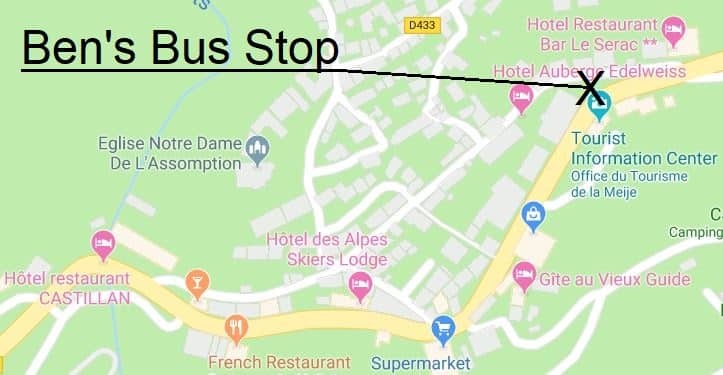 You will need to catch the No.35 bus from Bourg d'Oisans which is the service between Grenoble centre and Briancon. The service is run by a local company, the VFD. You can find the timetables of the buses on the VFD website, although it is in French. You may also like to visit the Transaltitude website which is dedicated to holiday makers wishing to book public buses. The Ben’s Bus Stop is at the bus stop right next to the Post Office, opposite the Tourist Office. Please ensure you are at the stop 10 minutes before departure time to allow us to pack your luggage onto the bus. Our vehicles will have signs in the window but please keep an eye out for taxis and buses passing by. The map below will be shown on your e-Ticket along with the pick up time. The GPS Coordinates are 45°02’46.7″N 6°18’26.5″E and you can see it on google maps here.